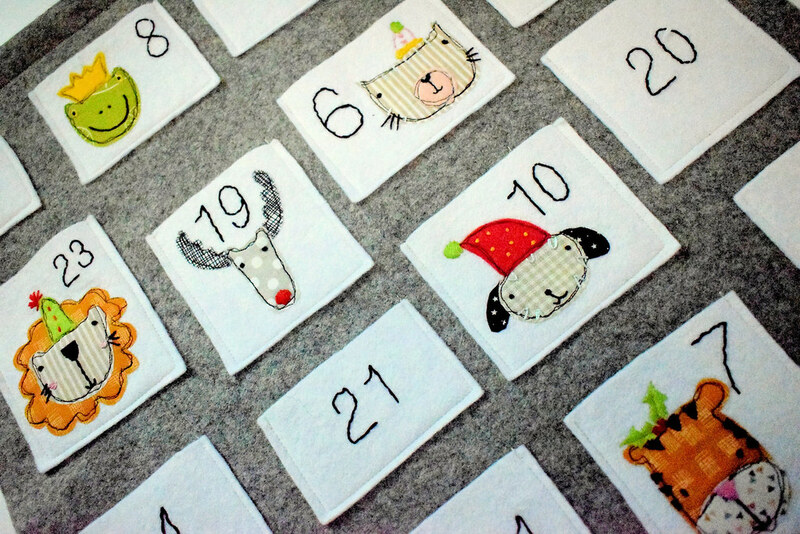 This calendar is such fun to make. 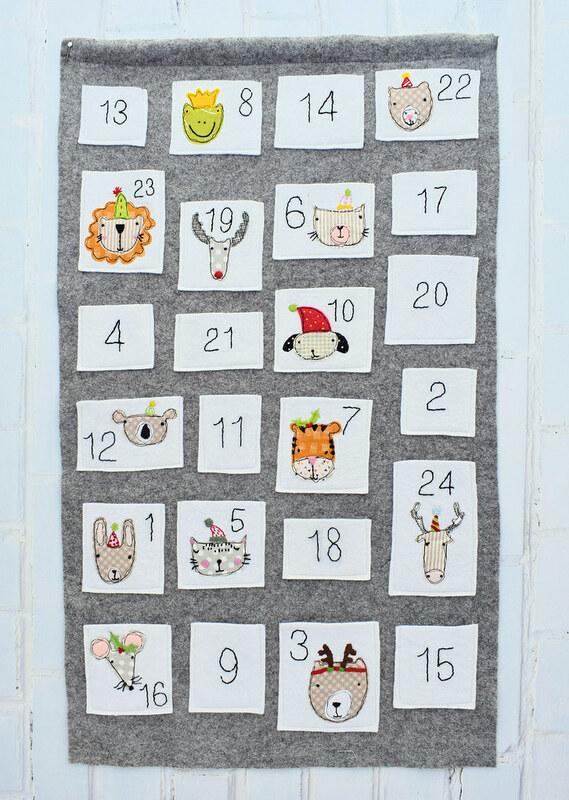 It uses freestyle machine applique and hand embroidery to create a dozen little festive friends adorning simple white felt patch pockets. 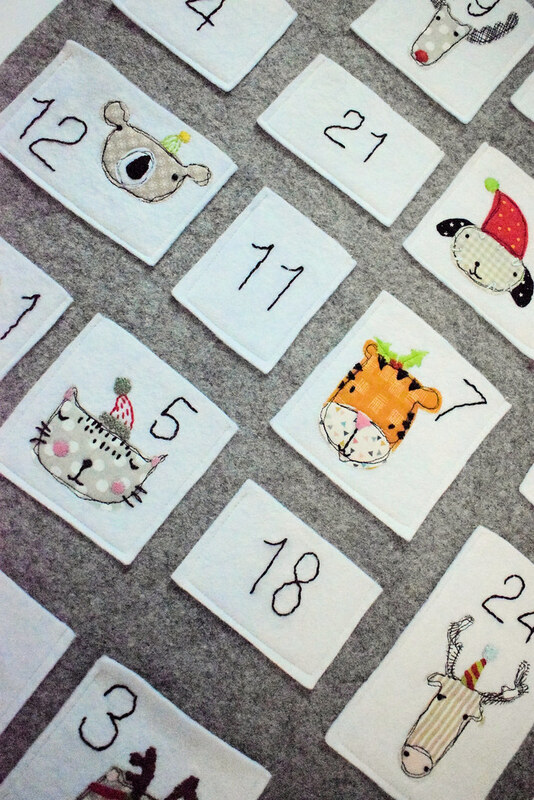 The other pockets simply carry the number for the remaining days. You do need to be very accurate with your cutting though as if the pockets are a bit wonky (I know mine aren’t perfect!) this will show up when they’re stitched to the grey felt background. But even if this happens, I think it adds to the charm – and shows it was made for a special child, with a lot of love! 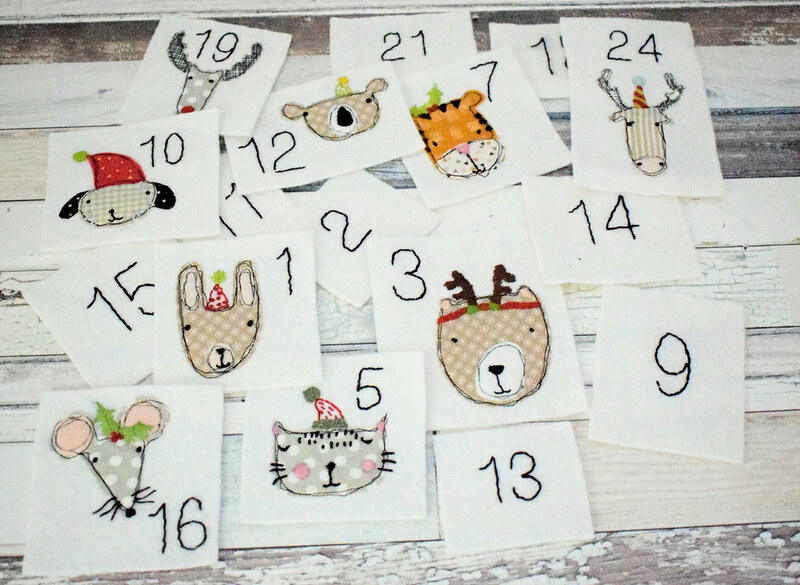 Please note, this is a pattern to make your own advent calendar and not the finished item. It is a digital pattern that will be available instantly your order is complete.